Stone Restoration Services Detroit seeks to provide our clients with a seamless approach to resolving whatever stone maintenance or restoration projects they may have. Dirt, grime, stains, etching, hard water stains, and sealant breakdown can all contribute to the degeneration of a stone’s surface. 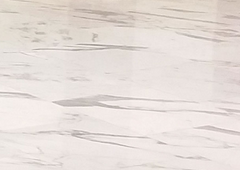 We can restore these surfaces to like new condition by Grinding, Honing, Cleaning and Polishing these stone surfaces such as Marble, Granite, Limestone, Terrazzo, Slate, Concrete, Pavers, and Travertine. Heavy lippage, crack and chip repair, scratch and stain removal, fine polishing or conditioning, and sealing are some of the other proven services we offer. Our restoration process is known as diamond grinding and honing, which gives the stone better clarity and reflectivity than other methods that can be used. A stone floor that has been restored with our process will also retain its look longer than it will with the use of other methods. This preferred method also means that floors will have to be repolished every 4-6 years compared to every 1-2 years (as with other methods). Contact us today for your stone restoration needs! Serving the Detroit and Southeast Michigan area.